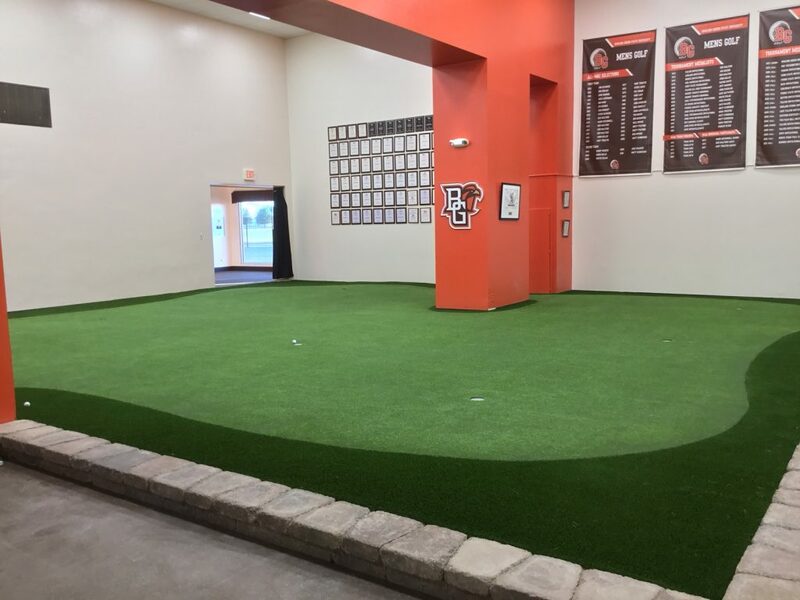 Bowling Green State University Head Golf Coach, John Powers oversaw this amazing project to help their golf team with their short game. 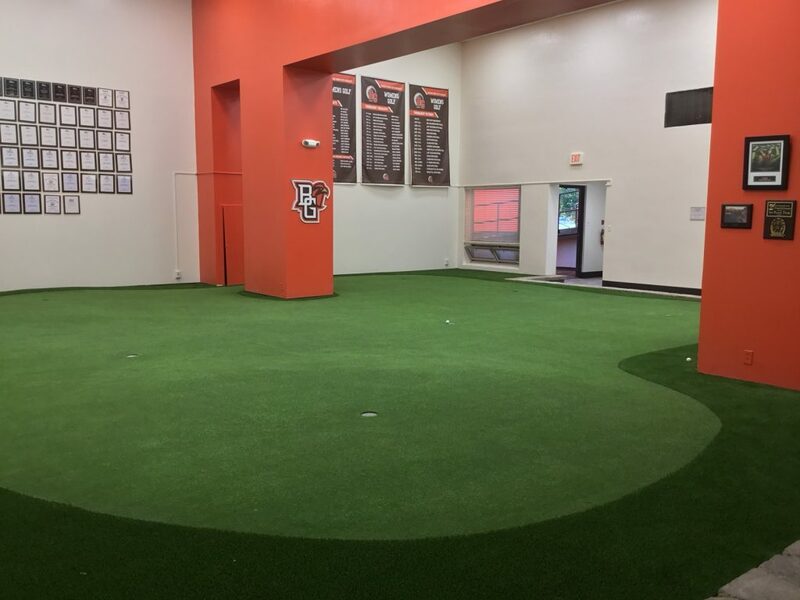 Ohio’s BGSU award-winning golf team wanted a challenging putting green so they could practice their short game year-round, and Celebrity Greens really came through. 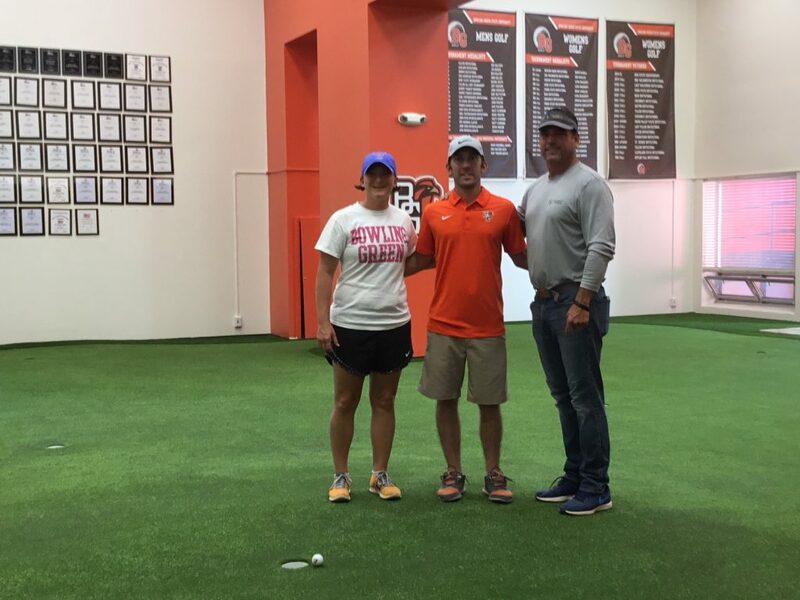 Way to go BGSU Falcon’s golf team! Enjoy your new 1,500 square foot, state-of-the-art Celebrity Greens’ indoor artificial grass putting green. PreviousPrevious post:This Texas-sized estate decided to Go Green with eco-friendly artificial grassNextNext post:Installation is underway at the new Phil Mickelson-designed ASU Men’s and Women’s Golf Team practice facility! Installation is underway at the new Phil Mickelson-designed ASU Men’s and Women’s Golf Team practice facility!